Update: Barcelona and Nike has announced the 10-year extension to their current kit deal which will take the contract to 2027/28 season. 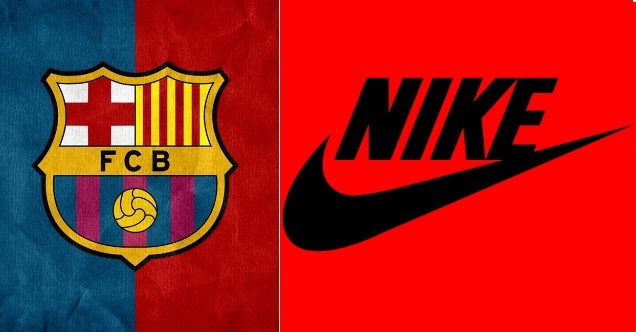 Nike who lost several big clubs to rivals Adidas in last two years, were determined to hold on to probably the most successful club in recent history and they pretty much break the bank with the new deal offering record £100 million guaranteed to Barcelona from 2018 to 2028. Current Barcelona-Nike kit deal was fifth biggest behind the likes of Manchester United and Bayern Munich adidas deals. we take a look at current most expensive kit contracts in football. Barcelona has just announced record breaking €105million a year kit deal with Nike as they extended the contract from 2018 to 2028. They also retain ownership of their barcelona store and will rack in another estimated €50million a year from their store sales making it the biggest kit deal in history of football. As we reported earlier in May that Chelsea are looking to tie up one of the most lucrative kit deals in history they have finally announced the new 15-year contract with Nike which will come into play from 2017-18 season and will last till 2031-32 season. Chelsea have doubled their yearly income from kit deal taking yearly around £60m compared to just £30m with their current adidas deal which runs out at the end of this season. Football has evolved alot in last couple of decades and that mostly down to the fact that money is playing a huge role in clubs success. Some of the big football clubs are in top 10 of richest sports teams around the world. 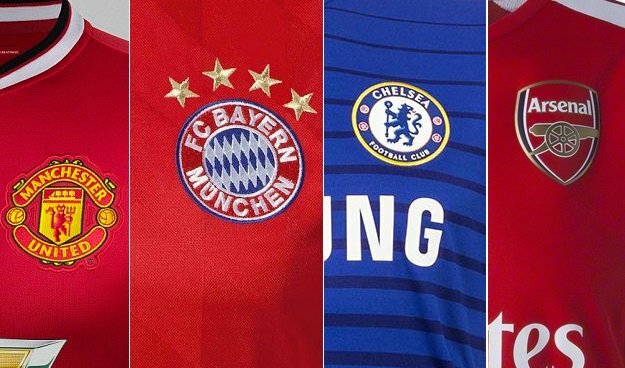 Since Shirt sponsorship and kit suppliers deals are very important in clubs revenue stream we take a look at which clubs has the most expensive Kit Suppliers deal. What Is Kit Suppliers Deals ? Some of the biggest sports manufacturing companies like Nike, Adidas and Puma has been supplying kits to football clubs around europe for so long. These companies pay yearly fee to the clubs to control the clubs merchandise and team kits, this contract can be long term ranging from 5 to 10 years or short term 1 to 2 years. So if a club signs a kit suppliers deal with lets say nike, then nike will be providing official kits to first team and reserve teams plus other training clothing and in return Nike can sell official clubs jerseys through their channels. its cool,but how certain are they making money back in return after spending a whole lot for kit making? These footballers have a really big impression on fans and the public, especially youngsters would want to buy footwear which is manufactured by their favourate team sponsors. This is why big teams have really good sponsorship deals and these teams have a really huge fan club, using this method u can easily gross a lot of profit if proper marketing strategies are used elsewhere too.